It has been weeks since I've last blogged and polished my nails. August has not been kind. My personal life was a mess and worse, some cities here in the Philippines were under the state of calamity due to continuous heavy rains. Where I live were one of the cities that was greatly affected. The area were our house stood did not get flooded but for almost a week, we didn't have electricity and water supply. Until now, we are still suffering the consequences of a very bad weather and we could only hope and pray for better days to come. Simply Rins is now PR4! I don't know how but I'm happy of what this blog has accomplished. Thank you to everyone who supports, believes, and shares this nail art blog. Dazzle Dry is now in the Philippines and it's amazing how easily I got along with the lady that made it possible. This awesome product was demonstrated to me and I finally got a set that I could personally try. More on this on my review post. I bought a new mobile phone after months of trying to figure out what model to get. And finally ... I started a new collection! Allow me to discuss about this more. Last month, my sister went on a vacation and I asked her to buy me an OPI nail lacquer from the Minnie Mouse collection. 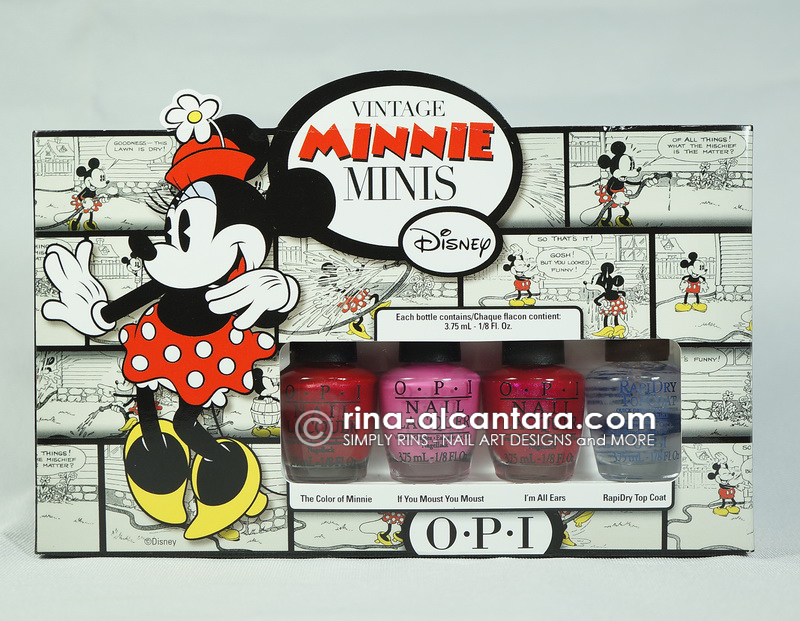 Due to her hectic schedule, she asked a friend to buy the polish for her and I was more than thankful that it happened because I received the OPI Minnie Minis Collection instead of that one bottle I requested. After that, I suddenly wanted to collect all the OPI minis collection! I know that I'll be having a hard time to get the previous collections but I'm still hoping that I'll eventually complete my collection. I have 3 sets as of this post and I'm hopeful that I'll be getting more before the year ends. 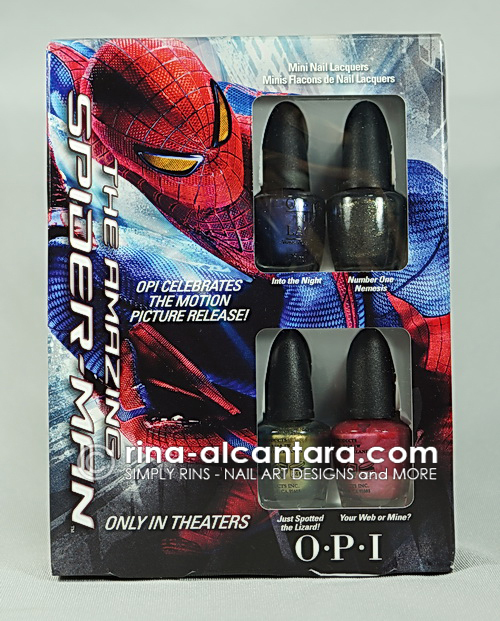 The second set I got was the OPI Spiderman Minis Collection. One of things I think that got me hooked to OPI minis is the packaging. Every collection comes in a unique box and I simply think it's beautiful. And yes, the mini bottles are so adorable to look at! I just love seeing them on my polish rack. 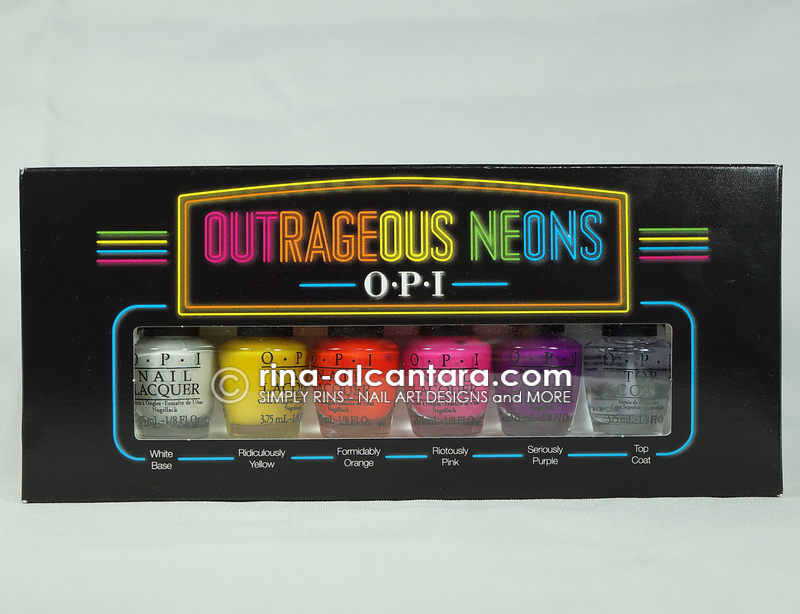 The latest addition to my collection is the OPI Outrageous Neons that I bought from Digital Traincase. I actually wanted to swatch them to accompany this post but I couldn't get myself to use them. I figured my collection would appreciate in value in time if they remain unused. I don't know how long I could resist not trying the polishes on these sets but for now, I'm satisfied just by looking at them. I wonder what set I'll be able to get next. Can't wait for my collection to grow. How about you, do you have a specific polish collection? BONGGANG CONGRATS SA IYO!! PR4 KA NA! And.. by the way what is PR4? Will be looking for that one!